Test techniques is the process of executing a program or application with the plan of finding software bugs and to verify that the software product is fit for use.Manual testing could be replaced by automated testing in which we use specific software’s that will do the tiresome work for us, and we can spend more time with creating the logic of the testing code. 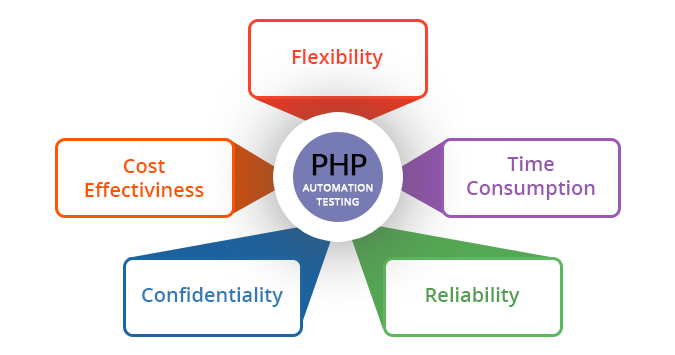 Following are some of the automated testing frameworks in PhP script. It is a sophisticated testing framework which automates browsers and possible to write User Acceptance Tests that examine.Selenium is a robust tool that has its own Web Driver API. Real user would use it either locally or on a remote machine. Selenium is an excellent tool for testing more mature web applications. Codeception enables Functional and Acceptance Tests. It allows to enable and configure different modules according to our development needs and integrated with many PHP development frameworks like Symfony2, Laravel4, Yii, Phalcon, and the Zend Framework.Developers together using this PHP automation testing framework and a PHP development framework to establish a Sophisticated development flow. It’s a well known conduct driven PHP testing framework. The tests with Behat look like stories instead of a code. Behat utilizes the StoryBDD subtype of behaviour-driven advancement and BEHAT is testing framework for the Ruby programming language. PHPSpec utilizes the behaviour-driven testing approach. Alongside PHPSpec need to compose the particulars first that depict how the application code will carry on.Ruby testing framework ,R-Spec also inspired by this PHPspec. Peridot is a lightweight, extensible testing structure with components an event driven architecture.It permits testers to effectively redo the framework via plugins and reporters and clearly depicts how our application code should behave.